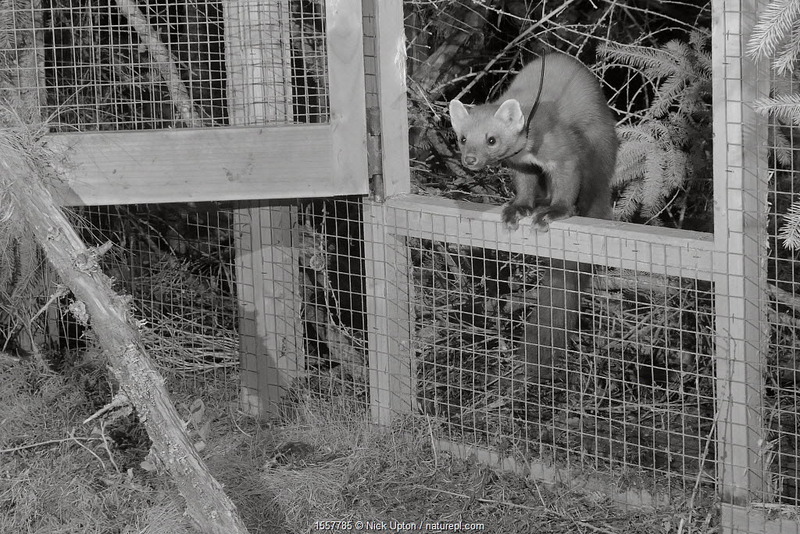 This quarter (October – December 2017) we supported the Vincent Wildlife Trust’s Pine Marten Recovery Project. The Vincent Wildlife Trust is a charity engaged in innovative mammal research and conservation, with a focus on Britain and Ireland. 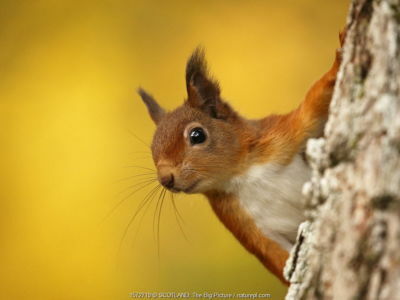 For over 40 years, the Trust has made major contributions to the conservation of mammal species, including the pine marten, otter, dormouse, water vole, polecat and the bats. 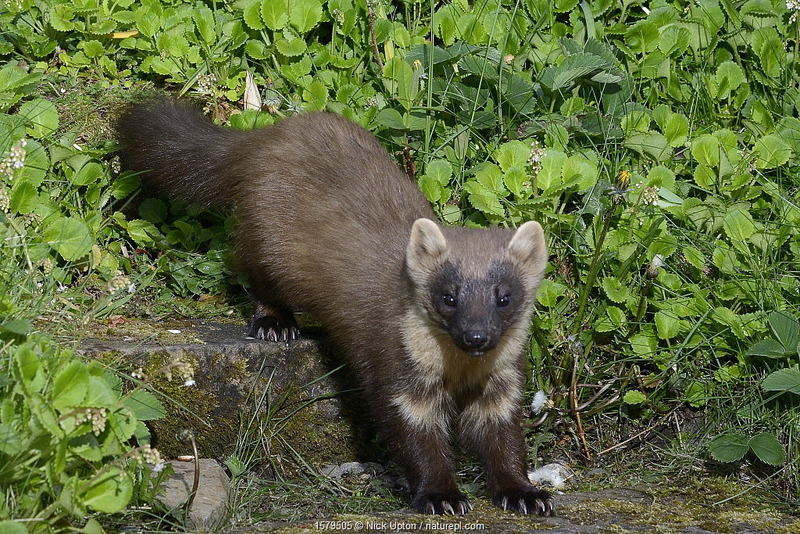 Today, the Trust continues to concentrate on the needs of mammals of conservation interest, with current work centred on the pine marten, polecat, stoat and the rarer bat species. The Trust manages nearly 40 nature reserves in England, Wales and Ireland, most of which are horseshoe bat roosts. 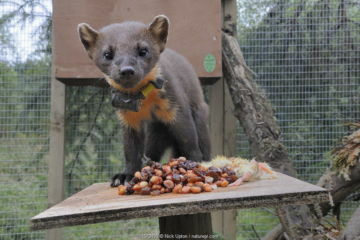 The Vincent Wildlife Trust’s Pine Marten Recovery Project aims to restore a viable pine marten population to Wales and England. 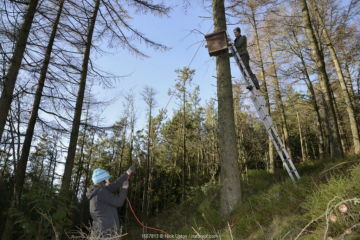 Over the last three years 51 pine martens have been brought from Scotland, where they are thriving, to mid-Wales where they were on the verge of extinction. 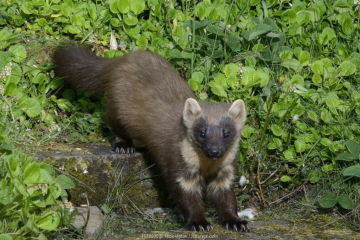 The martens are taken from Forestry Commission Scotland land under licence from Scottish Natural Heritage and relocated in woodland owned by Natural Resources Wales. The animals are radio-tracked during their first year to monitor their movements. 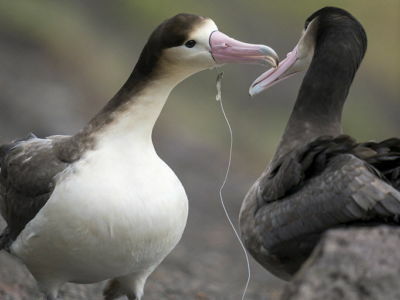 From March onwards, radio-tracking of females is ramped up a gear so that the denning sites of any breeding females can be located. Remote cameras help this process of detective work. 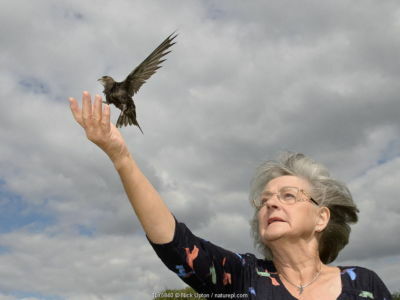 The project’s major partners are the People’s Trust for Endangered Species (PTES), Chester Zoo and Woodland Trust, with support from Wildlife Vets International and the University of Exeter. 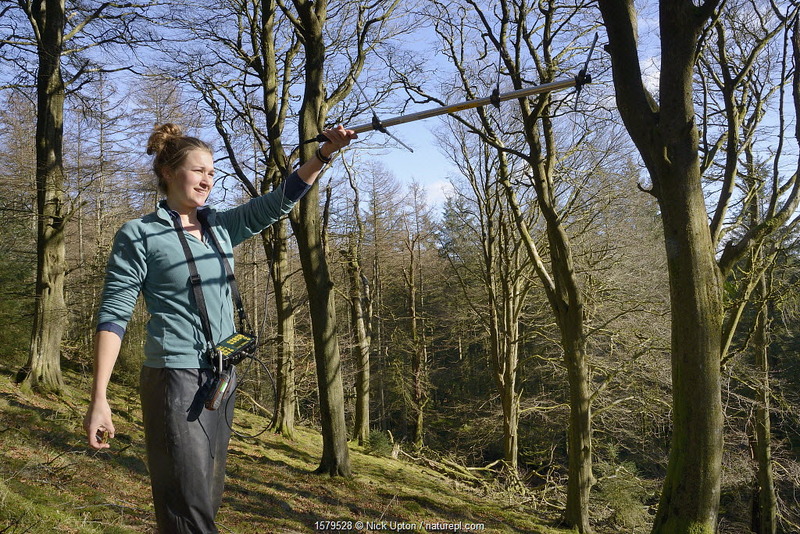 Money donated by NPL was used towards the purchase of remote cameras to help monitor the pine martens once their radio collars have been removed. These kits were born in Wales to parents released in the Vincent Wildlife Trust translocation project in the Cambrian Mountains. 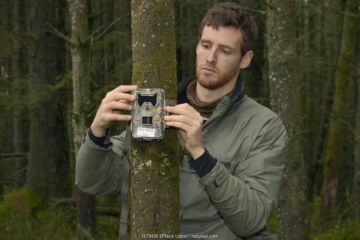 Footage taken using a camera trap by Huw Denman for the Vincent Wildlife Trust. 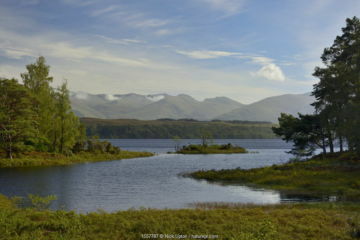 An expanded gallery of images can be found here. Pine marten (Martes martes) male descending garden steps at night on the way to visiting a bird table to forage on fruit and cake left out for martens, Knapdale, Argyll, Scotland, May. Photographed by a remote camera trap. Catherine McNicol radiotracking in mixed Beech and coniferous woodland to locate radio-collared Grey Squirrels (Sciurus carolinensis) in the area where their predators, Pine Martens (Martes martes) have been reintroduced to Wales by the Vincent Wildlife Trust, Cambrian Mountains, Wales, UK, February 2016. Model released. 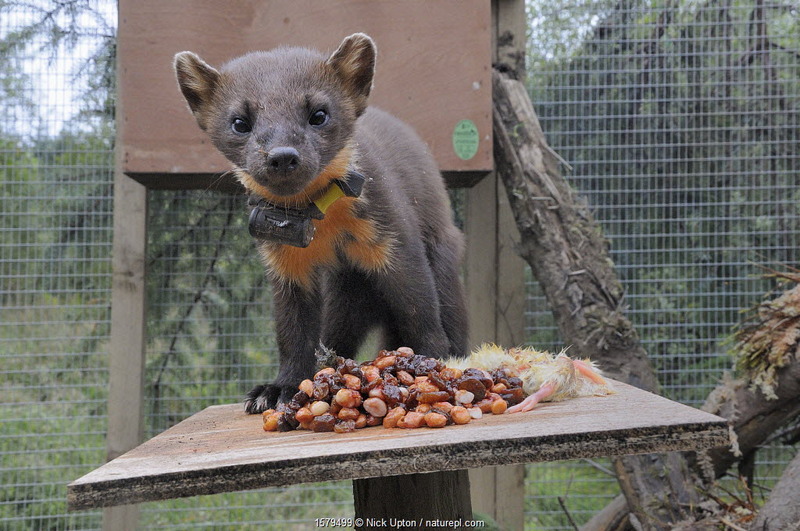 Pine marten (Martes martes) male standing on a feeding table in a soft release cage after arrival from Scotland, during a reintroduction project by the Vincent Wildlife Trust, Cambrian Mountains, Wales, UK, September 2016. Photographed with a camera trap. Dave Bavin setting up a trailcam in a dense coniferous plantation to photograph a radio-collared Pine Marten (Martes martes) reintroduced to Wales by the Vincent Wildlife Trust after locating it by radio-tracking, Cambrian Mountains, Wales, UK, December 2015, Model released. 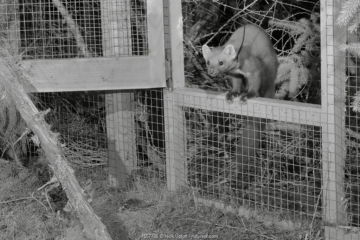 Radio-collared Male Pine marten (Martes martes) emerging from a temporary soft release cage after dark during a reintroduction project by the Vincent Wildlife Trust, Cambrian Mountains, Wales, UK, September 2016. Captured with a camera trap and infra-red light. 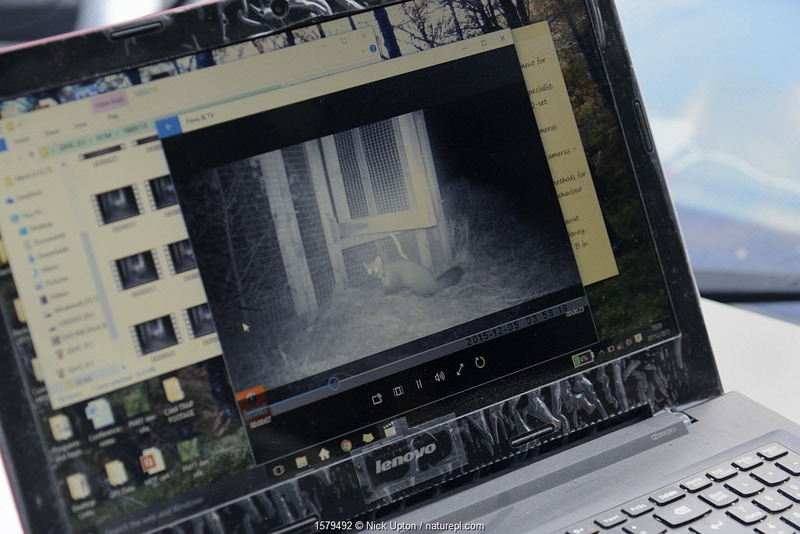 Radio-collared Pine Marten (Martes martes) reintroduced to Wales by the Vincent Wildlife Trust photographed by a trailcam while seeking food at the cage it was soft released from a couple of weeks earlier, reviewed on a laptop screen, Cambrian Mountains, Wales, UK, December 2015. David Bavin up a ladder as Josie Bridges hauls up a wooden den box on a rope pulley to be attached to a pine tree for use by Pine martens (Martes martes) reintroduced to Wales by the Vincent Wildlife Trust, Cambrian Mountains, Wales, UK, February 2016. Model released. Mixed conifer and birch woodland habitat around upland loch where Pine martens (Martes martes) were trapped for a reintroduction project to Wales by the Vincent Wildlife Trust, Scottish Highlands, UK, September 2016.